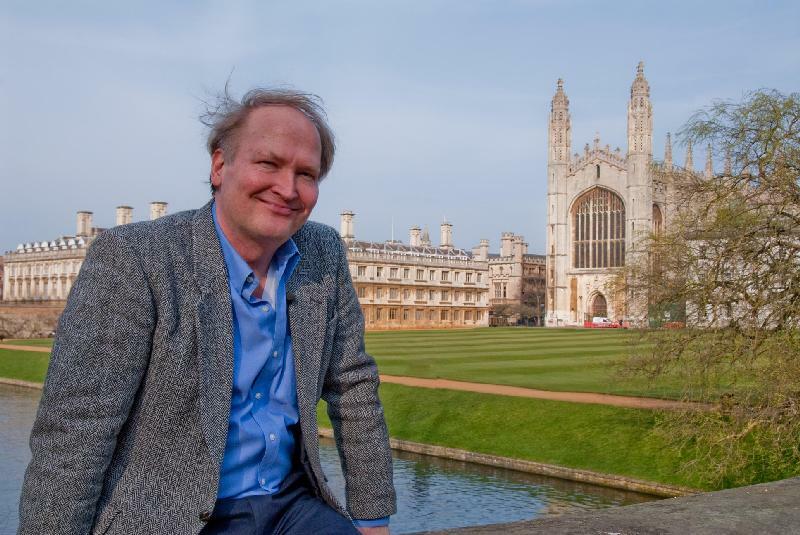 John Daugman's webpage, Cambridge University, Faculty of Computer Science & Technology, Cambridge UK. Computer vision, pattern recognition, neural computing, wavelet codes, chess algorithms. Daugman J (2002) "Gabor wavelets and statistical pattern recognition." The Handbook of Brain Theory and Neural Networks, 2nd ed., MIT Press (M. Arbib, editor), pp 457-463. Daugman J (2001) "Statistical richness of visual phase information." Int'l Journal of Computer Vision, 45(1), pp 25-38. 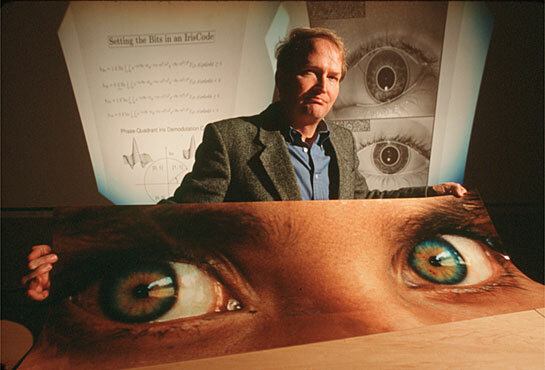 All other links on this page relate to IRIS RECOGNITION, a practical application of the work in computer vision, wavelets, and statistical pattern recognition. A billion persons enrolled: International deployments of these iris recognition algorithms. Flagship deployment in India (Update: now 1.25 Billion citizens enrolled) (short article, PDF). General introduction (purpose, principle, current applications). 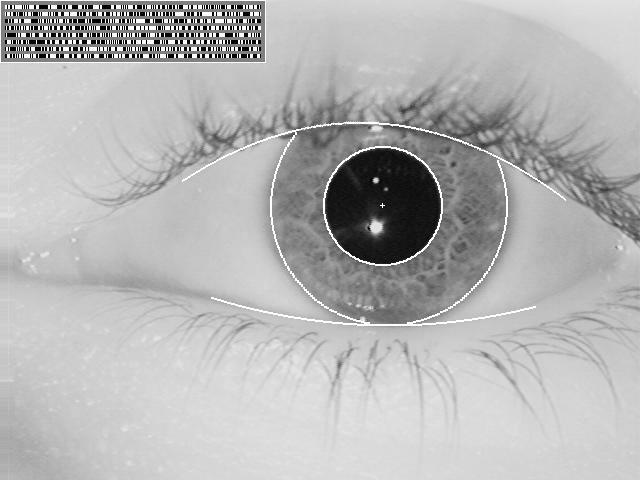 An iris with its "IrisCode" (and localization graphics). More examples of IrisCodes. Detailed colour iris image, and another. What iris patterns reveal in infrared light. Some pictures and examples of deployments of the Daugman algorithms. Summary of statistical results from 200 billion iris cross-comparisons (spanning 152 nationalities in the UAE border-crossing database). More detailed report with full Probability Tables available here. Examples of deployments at airports and border-crossings (.pdf article from Encyclopedia of Biometrics, 2010). A large "watch-list" national security deployment of these algorithms. Interview in BioSocieties (2008) about biometrics, anonymity, privacy, and the Liberal State. Iris matching engine, and search speed. Decision environment (separability of same vs different iris patterns). Performance of these algorithms compared to other biometrics (UK National Physical Laboratory test report, 2001). Mathematical explanation of "IrisCodes" and iris recognition. Independence of bits across IrisCodes. Binomial Distribution of unrelated IrisCodes (histogram of 9.1 million raw Hamming Distances). 9.1 million comparisons between unrelated IrisCodes (with rotations for best match). Quantile-Quantile comparison between the data and binomial theory (9.1 million comparisons). Why false match probability does not accumulate in large database searches. 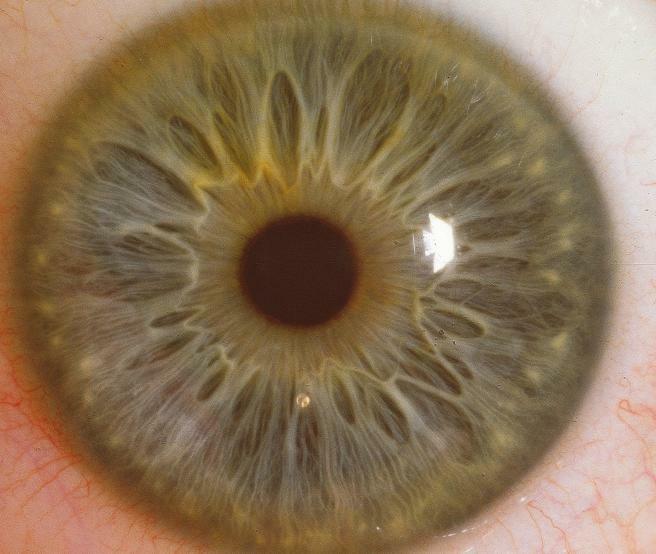 What about genetically identical iris patterns (e.g. identical twins)? Anatomy, physiology, and development of the iris. Operators for localizing the iris within an image. 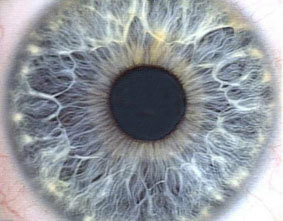 Advantages and disadvantages of the iris for identification. Statistical demands of identification vs verification. Is there advantage in combining multiple biometrics? Links to some licensees and users of these algorithms; and partial list of applications. Iris cameras that use these algorithms. How these algorithms identified the National Geographic Afghan girl, 18 years later. More humour: "Iris recognition and The Simpsons Movie"
Cartoons about iris recognition from the British press.